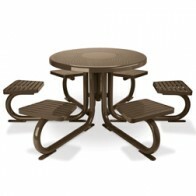 Designed to best accommodate the way in which people use and approach a radial table with integrated seating. Our goal was to create a design that would maximize personal space and comfort while offering the greatest ease of ingress and egress. 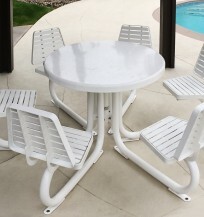 We accomplished this through the use of an innovative trapezoidal seat shape, naturally increasing seat clearance. Unexpectedly, we found in our sampling that the unique seat shape not only made it easier to enter and exit the seating area, but also created common spaces between the seats. 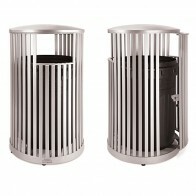 By allowing people to more easily rotate, the design encourages conversation and face-to-face interaction. We built upon this by surrounding the slats with a fully welded steel skirt, providing a smooth surface for rotation and greater visual definition of the space. 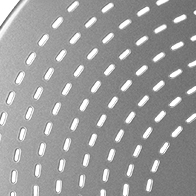 42 in (1067 mm) round steel tabletop. Six seats with backs (also available as backless model A-426). Patented*. *Covered by one or more of the following: US Patents D687,232 S, D690,976 S, D690,977 S, D690,978 S, D690,979 S, D694,563 S, D694,564 S, D696,884 S, D696,885 S, D697,350 S, D697,351 S, D697,352 S; Canada Reg. Des. 144062; 152316; 152327. Wood slat seating. 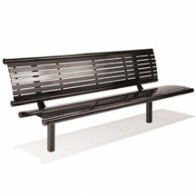 Maple, cherry, walnut or gray recycled plastic slat seating. 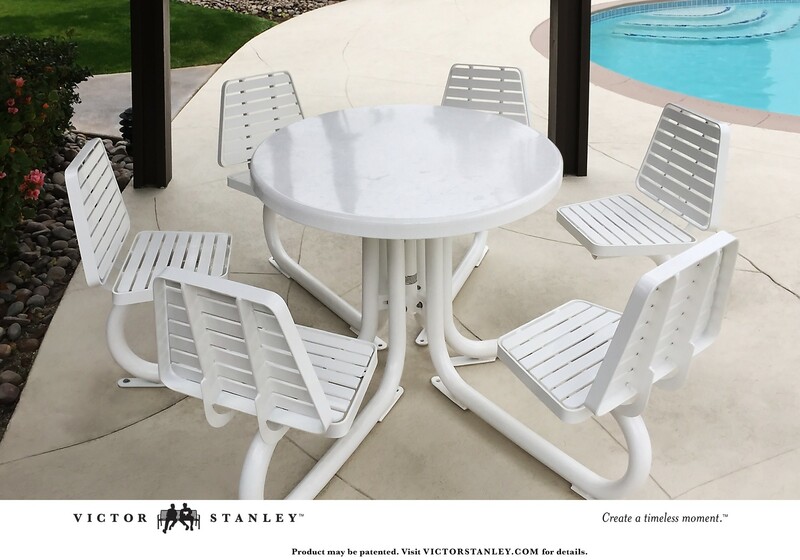 Horizontal steel slat seating. Hole and guide for umbrella pole. 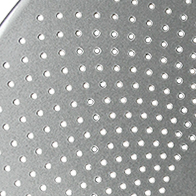 Perforated tabletop – round or slot pattern. 198 queries in 0.423 seconds.